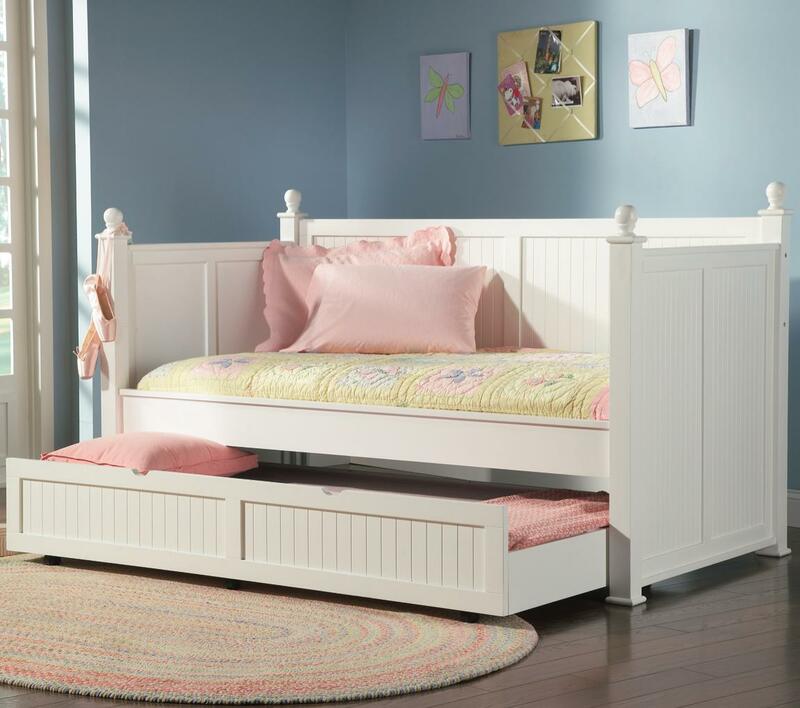 This beautiful daybed will be a lovely addition to the youth or spare bedroom in your home. The high headboard, footboard, and back feature a slat design with simple molding, square posts, and classic round finials. The twin size bed is multifunctional, offering a comfortable place to lounge and read, and a great sleeping spot by night. A convenient trundle below makes is simple to accommodate overnight guests. In a clean semi-gloss White finish, this classic daybed will be a wonderful addition to your home. Mattress not included. This piece requires a Bunkie Board foundation. The Daybeds by Coaster Classic Twin Daybed with Trundle by Coaster at Miskelly Furniture in the Jackson, Pearl, Madison, Ridgeland, Flowood Mississippi area. Product availability may vary. Contact us for the most current availability on this product. The Daybeds by Coaster collection is a great option if you are looking for furniture in the Jackson, Pearl, Madison, Ridgeland, Flowood Mississippi area.